My hair always becomes dry after a while, as I'm always using my GHD's on it. Therefore, I was in need of deep conditioning product as well as a heat defence. 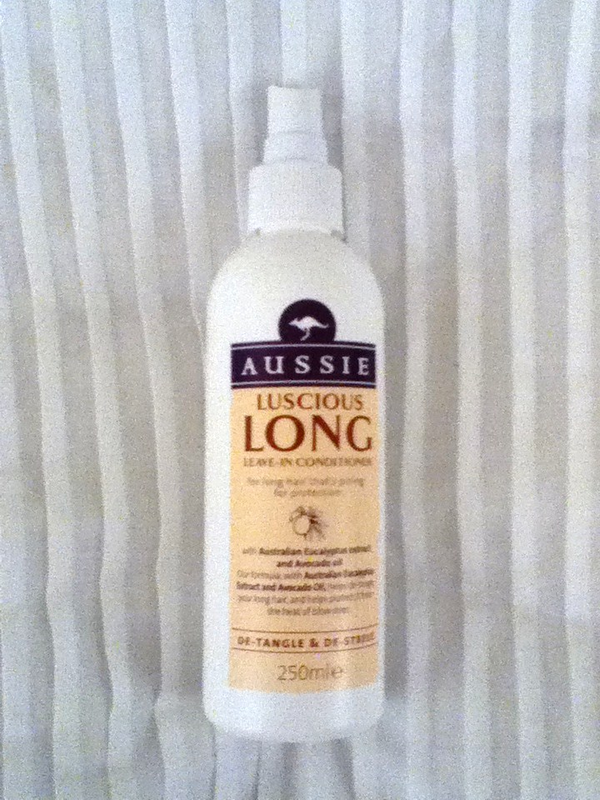 At roughly £4-£5 a bottle, I think that this Leave-In Conditioner is one of the best on the market. It helps de-tangle, protect against heat, and I've even found that it helps tame my frizzy locks. It also smells lovely, which I think is a really important quality for hair products. The 250ml would normally last me around 4 months, which I think is excellent, as that adds up to only £1 per month! It had the same effect whether you let your hair dry natural or blow dry it too. I know it sounds extreme, but this product has changed my life in many ways (haha). 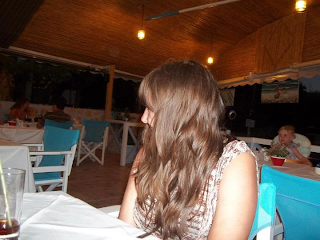 My hair doesn't look like straw anymore, and I also don't resemble a huge fluff ball, thanks to the de-stress element. 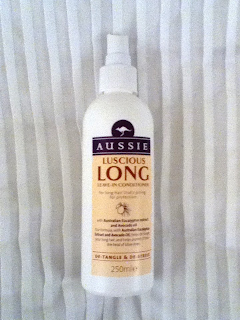 I've seen many other leave-in conditioners on the market, quite a lot of them cheaper than the Aussie version. However, in my opinion, they're no way on the same level. I can't remember the last time I smelt a hair product that was so nice, even my dad asks me where the 'beautiful scent' is coming from (bless him!). I also brought it on holiday with me for by the pool. This was because after getting out of the pool, my hair seemed to become extremely knotty, and also after always shoving it up, it became a challenge to run a brush through it. So I'd spray this onto my mane, which would leave it smelling nice and make brushing my hair not so much of a challenge. Overall I'd give Aussie Leave-In Conditioner 10 out of 10! It is a really amazing product, and has become my 'hair must-have' as well as a holiday essential. What did you think of this product? This post is not in any way associated with Aussie and all of the comments above are opinions of my own. This is not an advertisement.